It’s easy to forget what you have to be thankful for. The context of day to day life makes it easy to overlook the wonderful blessings and privileges we enjoy. Every morning we get up, eat some breakfast, and rush off to another busy day. A day full of distractions. A day full of problems, difficult people, difficult situations, and discouraging circumstances. We get caught up in our day to day problems so easily we forget about the blessings, we forget about the amazing opportunity we have if for no other reason then we simply have another day. Another day to foster and grow relationships with amazing people worth caring about. Another day to make a difference in that non-profit that’s making a difference. Another day to grow that company and prove all the doubters wrong. You’re not guaranteed this day or the next day, AND you have a limited number of them left. The reality that you got up this morning is, in fact, a miracle. Your heart beating, lungs breathing, brain thinking. Every single new day is a miraculous gift and should be treated that way. You’ve got all the distractions of life coming at you a million miles an hour; reset them, embrace your mistakes and learn from them, and with every single breath, every single heat beat, be thankful. Be thankful for what you have learned, be thankful for your past present and future relationships, be thankful for your opportunity. 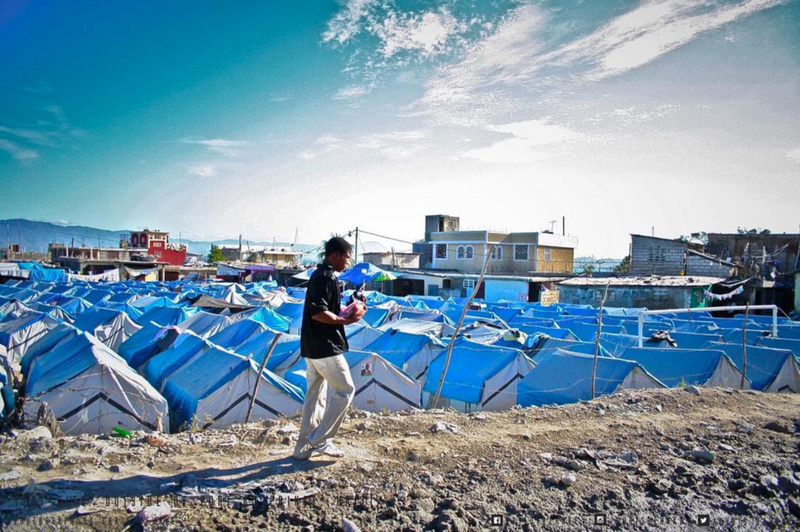 Took this shot of a tent city in #haiti A strong reminder to not just give back but also be #thankful for the life you live. This entry was posted in Gratitude, Leadership, Life, Micro Blog, Purpose and tagged Endurance, Gratitude, Life, Life Lessons, Problems, Stuggle, Thankful, Thankfulness. Chris, what an amazing article! My life has has changed for the better ever since I began practicing mindfulness and being grateful daily. Reading this article brought a tear to my eyes as I reflected upon the amazing opportunity we have each and every day to live a life worth dying for. Keep up the great content! Thanks Chris, I really appreciate the comment!